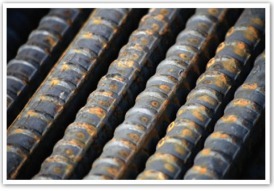 A rebar (short for reinforcing bar), also known as reinforcing steel, reinforcement steel, rerod, a deformed bar, reo, or reo bar, is a common steel bar, and is commonly used as a tensioning device in reinforced concrete and reinforced masonry structures holding the concrete in compression. It is usually formed from carbon steel, and is given ridges for better mechanical anchoring into the concrete. 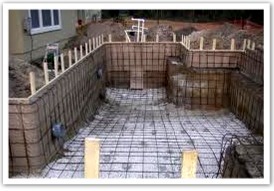 It is also considered as a reinforcement or reinforcing steel. MORRIS STEEL . MORRIS INDUSTRIES, INC.